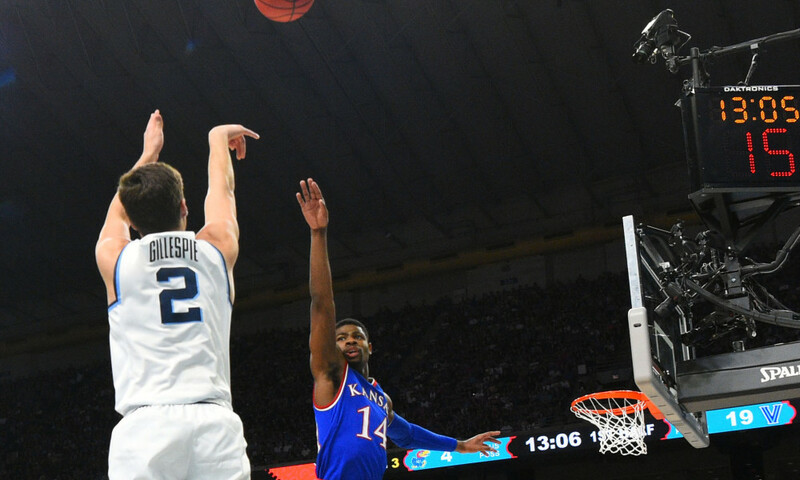 The year’s March Madness betting action comes to a close this evening as the Michigan vs. Villanova basketball matchup will put the finishing touches on the 2018 NCAA Tournament. It’s been a wild ride with plenty of upsets along the way. However, tonight’s betting NCAA basketball odds are predicting a rather decisive finish to the tourney. Let’s take a look at some NCAA picks and parlays players can make off of tonight’s action. They have come so far, so fast. Michigan was unranked in the first week of January, not even receiving a single vote in the AP Poll. Tonight, the Wolverines play Villanova for the national championship. Although the national rankings didn’t think much of the Wolverines at the start of the season, it’s now clear that Michigan is one of the best programs in the nation. The Wolverines further drove this point home by finishing the year with a 33-7 record that included a 13-5 record in Big Ten play. Despite the fact that they didn’t finish all that highly in the conference rankings, the Wolverines still came up big in the Big Ten tournament. After winning the conference tournament, the Wolverines put on a dazzling performance to punch their ticket to tonight’s championship matchup. Most recently we witnessed Michigan pummel Loyola 69-57. Now, pegged as the betting NCAA basketball underdog, the Wolverines will be vying to pummel a higher-ranked opponent. 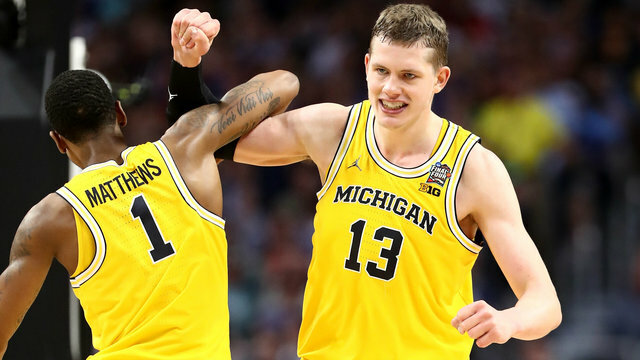 Players to Watch: Moritz Wagner (14.6 ppg, 7.1 rpg, 0.8 apg), Charles Matthews (13.1 ppg, 5.6 rpg, 2.4 apg), and Muhammad-Ali Abdur-Rahkman (12.6 ppg, 3.9 rpg, 3.3 apg). Without a question, Villanova is the best team in this year’s field. On top of having the nation’s No. 1 scoring offense, the Wildcats have also amassed some of the best talent in the country. Testament to this is the fact that Nova has been cruising in this year’s tournament, defeating all of their opponent’s decisively. No doubt Villanova will be looking to finish the tournament on a high note. Players to Watch: Jalen Brunson (19.2 ppg, 3.1 rpg, 4.7 apg), Mikal Bridges (17.6 ppg, 5.3 rpg, 1.9 apg), and Donte DiVincenzo (13.0 ppg, 4.7 rpg, 3.5 apg). So, what team should betting NCAA basketball players favor in tonight’s Michigan vs. Villanova basketball matchup? All in all, it’s looking like Villanova will get the job done this evening. So far in the tournament, the Wildcats have been unchallenged for all intents and purposes. And while Michigan has displayed some dominance on their run to tonight’s championship action, they are unquestionably outgunned. Therefore, taking Villanova is the only sensible course of action in this year’s NCAA championship. However, there’s not much value in taking Nova straight up. Ergo, taking Michigan to cover the spread seems like the best wager to make this evening. Sign up now to make this final tournament prediction! Score Prediction: 74-68 Villanova. The Wildcats use their superior offense to create some slight separation in the crunch. Villanova will fail to cover the spread this evening and the TOTAL will be UNDER in this one.